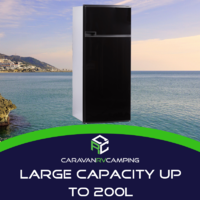 Keep your options open by powering your 3 way caravan fridge from 240volt, 12volt or LPG gas. 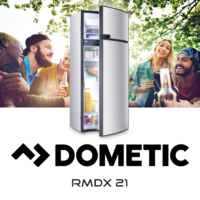 There are numerous benefits to having multiple power input options - all designed to keep your fridge running when you most need it! 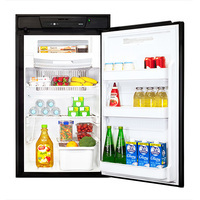 Choosing the best gas fridge for your setup will ultimately allow you to run your fridge continously and economically through out your trip saving you dollars in the long run. 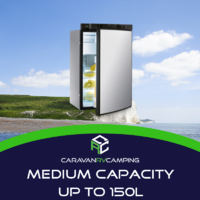 Whether you are converting your compressor fridge for a gas fridge, or simply replacing your tried and tested old Electrolux fridge - expect to get another 10 or 15 years out the new gas caravan fridges available on the market. 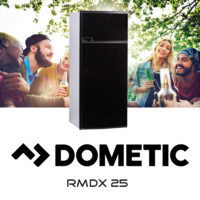 (For the record - Dometic Australia has the same physical dimensions as most of the old Electrolux fridges which are no longer available if you are looking for a direct replacement). 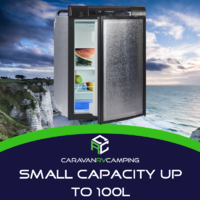 A 3 way fridge can be powered by LPG gas, 12volt or 240volt power making it very reliable and convenient to keep your fridge running whilst on the road or caravanning in remote areas. 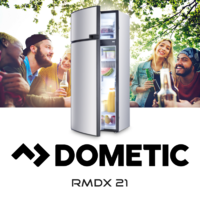 Put simply, a 3 way fridge is commonly referred to as a 'gas' fridge or 'absorbtion' fridge and operates a lot differently to your normal household 12 or 240 volt compressor type fridge, although acheives the same result in circulating the refrigerent to keep your fridge cool. 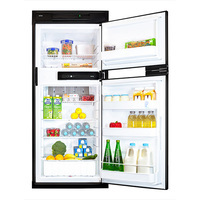 The advantage of a 3 way fridge is that it can run for weeks or sometimes months without the need for electricity, and it does this silently as the absorbtion method does not require a compressor to circulate the refrigerent gas. 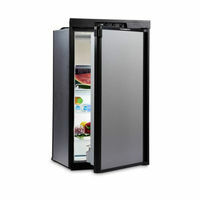 Whats the difference between a 3 way and a normal compressor fridge? 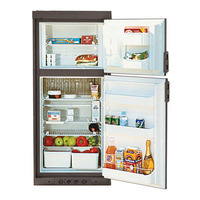 A normal compressor fridge pumps refrigerent around the system and consequently forces cool air into the fridge/freezer compartments, while a gas fridge does not use a compressor and uses the Absorption Method which draws the heat out of the fridge/freezer compartments leaving behind the cold air inside. These are 2 very different techniques to achieve the same reult and both have there advantages and disadvantages. 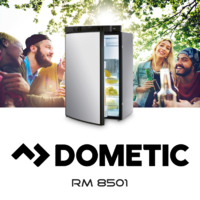 All fridges (3 way and compressor) require refrigerent gas to be circulated in different states (gas and liquid) around the inner workings to create a cooler than ambient temperature difference. 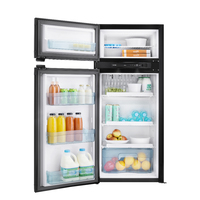 Air is then directed through the cooler pipes and into your fridge or freezer compartments. To circulate this refrigerent you can simply use a compressor which will require 12v or 240 volt power and physically pumps the refrigerent gas around the system, or you can use Absorption Method which basically means you are heating (not pumping) the liquid refrigerent allowing it to turn to gas and essentially float around the system untill it is cooled back to a liquid returng to tank - either way the name of the game is to get your refrigerent to change from a liquid to gas to enable circulation around the system. It is the changing of state from liquid to gas that creates the temperature difference of the surrounding air which is then harnessed to the cooler compartments of your fridge or freezer. 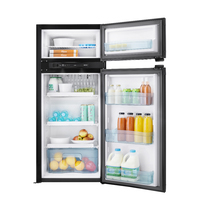 Why is a Gas fridge called a 3 way fridge? 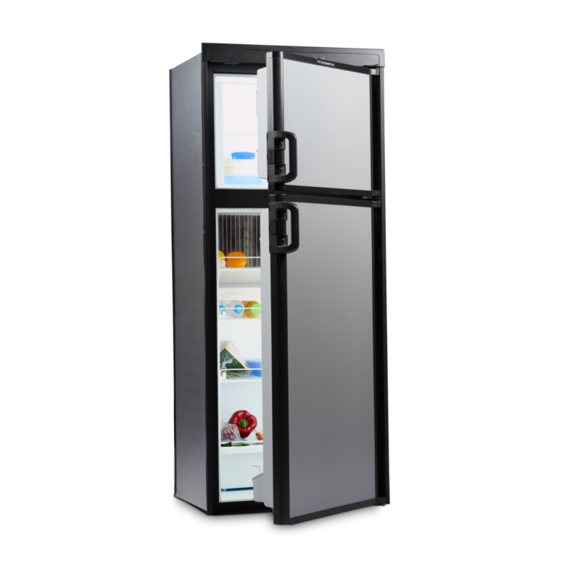 The 3 way absorption refrigerator requires the application of heat to start the refrigerant circulation process. It is called a 3 way because there are 3 ways of providing heat from variable power sources to start this process. You can apply heat to start the circulation process via an electric 12/240 volt element or a gas flame/pilot light. 240-volt power supply. This can be direct 240-volt power supply from a caravan park, residential housing, or from a backup generator. 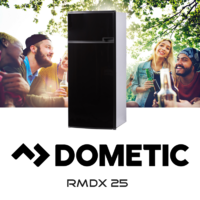 240 volt power is not always an option, or an economical option if using a generator and hence why a 3 way powered fridge may better suit your needs. A 12-volt electric element provides an intense heat source to start the circulation of refrigerent and is powered from your towing vehicle. When your on the move, your towing vehicles alternator will supply 12volts to keep your fridge running in transit. 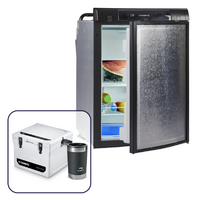 Newer style 3 way fridges have a built in safety device that will allow you to safely fuel up at service stations. Once you turn your ignition off and essentially cut the 12volt supply, there is a 15 minute timed delay before your fridge will supply power to the 12v element even when your ignition is turned back on. This allows you to safely fuel up at a service station reducing the risk of fuel vapours circulating around an intense heat source whilst refuelling. This is one of the reasons why it is illegal and can be dangerous to run your fridge from a gas bottle during transit - you don't want an intense heat source or gas flame around fuel vapours. Last but not least is your LPG gas supply delivering a heat source via a small gas flame (pilot light). 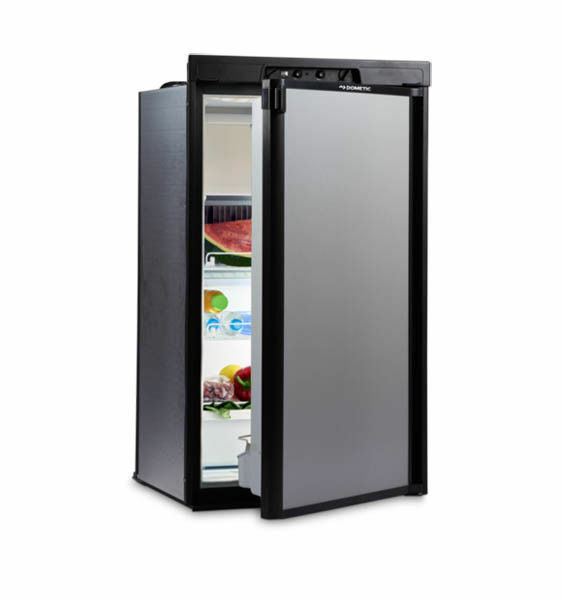 These refrigerators are designed with what is commonly known as a furnace. 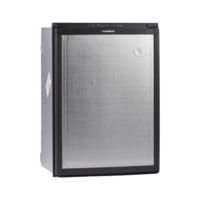 It can be identified at the rear of the fridge and is insulated to hold the heat in and has a small flu (exhaust) from the top. 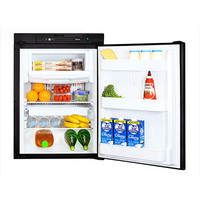 Gas fridges are common for people that do not want to soley rely on 12 or 240 volt power sources being available and are sometimes more convenient - especially when you have other appliances running on gas or do not want the expense of setting up 12/240volt supply. 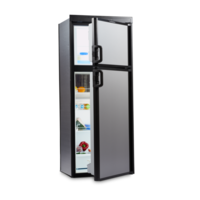 The 3 way Gas fridge uses a combination of ammonia, hydrogen gas, water and a heat source applied to start the refrigeration process. When this ammonia based solution is flowing and changing between a gas and a liquid, it is drawing heat out of your refrigerator to make it cool. Absorbing heat, rather than forcing cool air in is the technique of a gas absorption fridge. 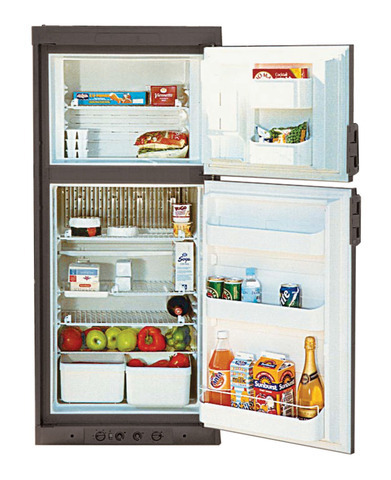 Keeping the 3-way refrigerator level is one of the most important procedures of running theses type of fridges. 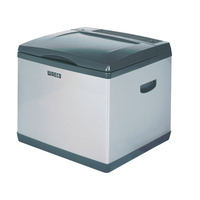 When the appliance is not level the combining liquids do not circulate correctly there for causing the cycle to stop. 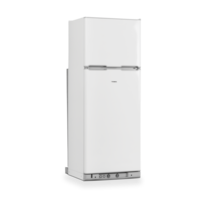 Check the dimensions of your fridge before purchasing the appliance to save on installation fees as it can get quite costly to re design internal surroundings and cabinetry. 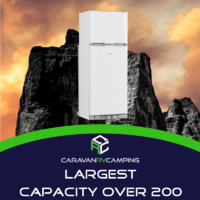 ​​Get the help you need to make any trip the best it can be with Caravan RV Camping’s huge range of tools, parts and systems. Suitable for boats, motorhomes and caravans of all sizes and models, we hand select every product we sell to ensure that our customers are only getting the best, most useful units available on the market. With competitive prices, fast nation-wide delivery and a dedication to providing quality customer service and after-sale support, you can rely on us for a smooth shopping experience. 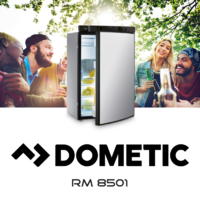 Browse our range of products from fridges to solar panels from reputable manufacturers such as Dometic, Vitrifrigo and John Guest.